"Merrily We Roll Along" is heading to Actor's Express. 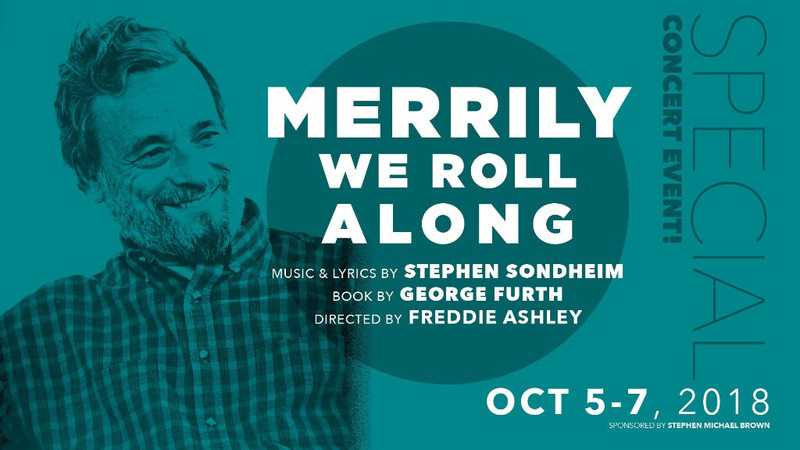 Actor's Express will present a concert staging of Stephen Sondheim's Merrily We Roll Along on October 5-7, 2018. The show is sponsored by Stephen Michael Brown. Join us for a three-night-only concert event of this rarely-produced Sondheim classic about the clash of personal and professional ambitions between three old friends. One of Sondheim's most fascinating shows, it features arguably his greatest score, which includes such musical theatre standards as "Old Friend," "Good Thing Going," "Our Time" and "Not a Day Goes By." For Artistic Director Freddie Ashley, the project is meaningful and personal. "For those of us moving into middle age, it is natural to stand back and take stock of where we've been, where we are and where we're headed. Sondheim explores this through the lens of three friends whose professional lives have diverged into different paths of success and whose relationships with each other have been tested. It's especially affecting to start the story in the present at which we see their diverged paths, moving backward in time to their first meeting when they sing about hope and possibility. I believe Merrily We Roll Along is the most emotionally complex show of Sondheim's canon." Tickets are now on sale and can be purchased online or by calling 404-607-7469.